Inspired by the Italian villas on the island of Capri, the Villa Caprisi hardwood collection by Urban Floor is a unique collection of fine European hardwood floors. Urban Floor is known to produce stylish and modern hardwood floors and this collection is no exception. 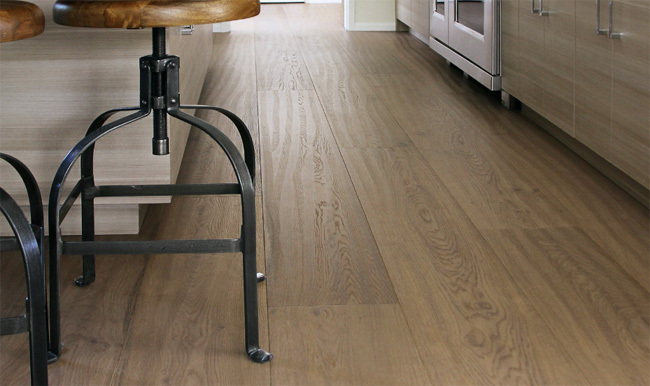 Villa Caprisi features ultra-wide, extra-long planks that are 9.5 inches wide and usually more than 7 feet long. The bold, large format can help a room appear larger while the kissed-edge bevel creates a smooth finish from wall to wall. Stop by the Slaughterbeck showroom in Campbell, CA to see the beauty of this contemporary style for yourself. Oak is the most common staple of the lumber industry and the most utilized. Yet European white oak differs from oak you may be familiar with in the United States. The slower growing cycle of the European oak results in a tighter grain, not only giving a finer design of wood grain, but minimizing expansion and contraction. 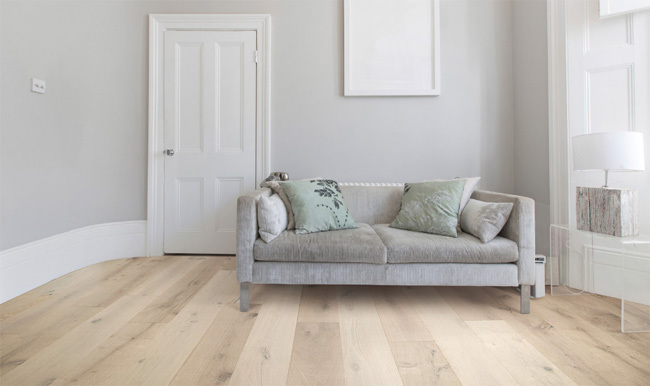 The taller European White Oak with its thin spa wood produce the striking patterns and long, wide planks used in Urban Floor’s Villa Caprisi collection. The Villa Caprisi Collection is engineered hardwood flooring, meaning you get the same look and feel of a solid floor with additional benefits solid planking doesn’t provide. 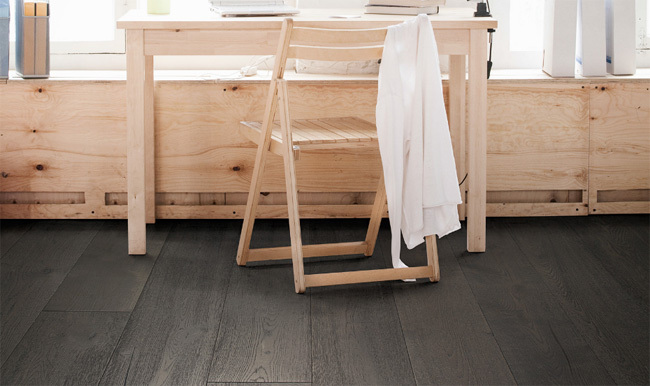 Each Urban Floor Villa Caprisi plank begins with high quality European white ash. Precise milling technology ensures each piece of flooring fits perfectly against the next for a seamless look from wall to wall. Each piece is finished and protected by Urban Floor’s Patented Platinum Shield UV 7 coat finish with aluminum oxide crystals to enhance your floor’s durability. 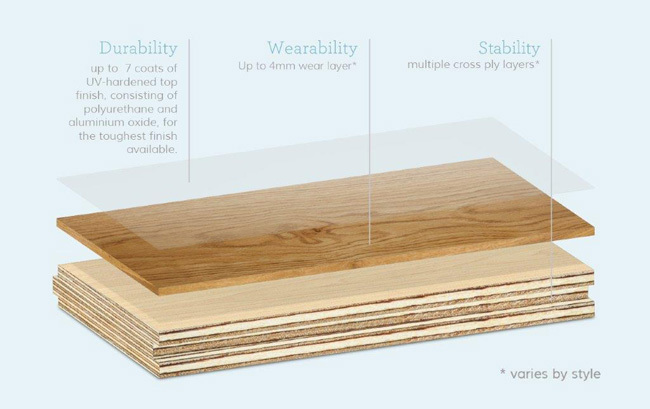 The 4 mm wear layer layer gets backed with six additional cross-stacked layers that prevents warping, bending, shrinking, and cupping common with solid wood flooring. Your floor won’t suffer from seasonal expansion and contraction that can leave gaps or cracks. This strong foundation for the European white oak reduces bowing in large planks. It also leaves the planks more flexible for installation and gives you the option to float, glue, staple or nail the flooring to the subfloor. Each plank is wire brushed to bring out the wood grain that creates swirling, dancing patterns across the surface of the flooring. A German-engineered lacquer tops off the floor, providing hard-wearing protection that stands up to foot traffic, parties, kids and pets. Best of all, Villa Caprisi hardwood floors require relatively little maintenance compared to wax or oil finished floors, letting you entertain and enjoy life with minimal attention to preserving your flooring. Choose from 9 shades and finishes that compliment the distinctive character of European white oak to create the perfect ambiance for your home. For an ultra-smooth wall-to-wall floor, select one of Villa Caprisi’s hand-sanded smooth finishes to complete the look of your decor. Romagna – Brighten up any room with this bone-colored floor. Wire brushed to bring out mineral streaks, knots and other interesting imperfections, Romagna is then buffed to a smooth surface. Veneto – Rich in hazel and fawn tones of classic oak, Veneto strategically brightens and warms any room. Trentino – The lustrous, dark tones of Trentino ground your room with a luxurious luster. The wood’s unique details pop from the wire brushing process before each plank gets finished to its silky smooth texture. For a casual, historic or unconventional touch to your decor, go for hand-finished wood floors. The lightly textured flooring brings out the grain and unique characteristics of the wood in a finish that conceals dings and wear that you may experience if you’ve got active kids or dogs. Abruzzo – The classic color of European white oak shows through in this ultra-light shade that lends a striking base to any room. A classic lacquer finish not only gives your floor a rich matte luster, it requires minimal care. 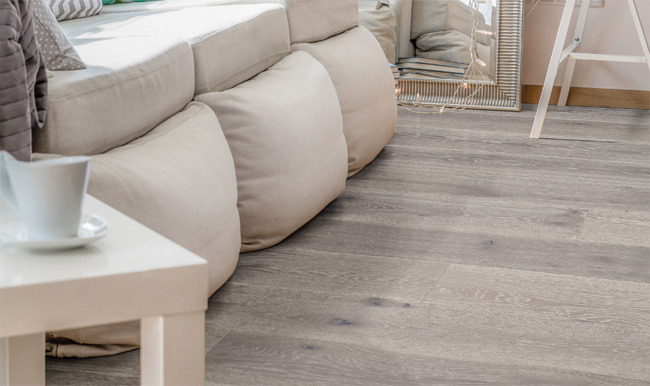 Scratch and water-resistant the Villa Cabrisi collection’s lacquered finishes keep your floor looking fresh. Lazio – Savor classic sandy coloring similar to Italy’s Lazio beaches near Rome. Valentina – A new addition to the Villa Caprisi collection. Add contemporary flair to your home with Valentina’s light gray finish. Messina – Go for a dramatic effect with Messina’s rich dark tones complemented by hand-brushed details. Looking for something out of the ordinary? A smoked finish creates a dramatic visual effect created by enhancing the wood’s natural pattern by hand flaming. The flame caramelizes sugars in the wood, enhancing its natural pattern, while smoke penetrates deep into the wood to create rich hues deeper than top staining. Calabria – Rich tans and browns swirl underfoot, brought out by Urban Floor’s smoke finishing process. 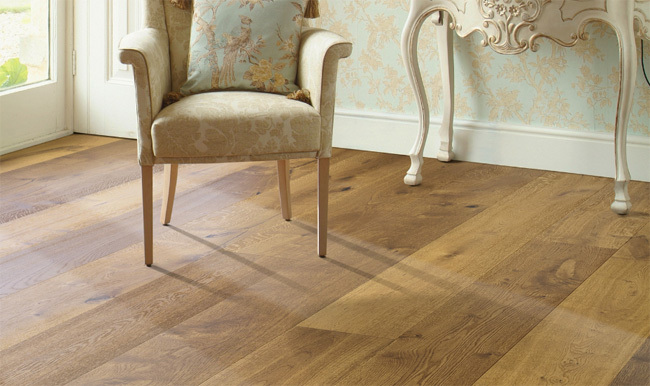 Calabria flooring is then finished with a smooth touch of satin. Brindisi – Light undertones similar to Abruzzo are complemented by rich swirls created during the smoking process. Brindisi is then hand ground to further enhance the wood’s natural texture. For more information on Villa Caprisi or any other flooring collections, visit our showroom. You’ll receive personalized customer service from our experienced staff to help you choose the best flooring for your home or business. Have questions now? You can also contact us by phone or email.